Film Independent, the non-profit arts organization that produces the Spirit Awards and the LA Film Festival, and acclaimed animation studio LAIKA (whose most recent film is Kubo and the Two Strings, nominated for two Academy Awards), have announced a second year of the LAIKA Animation Fellowship in Project Involve. The LAIKA Animation Fellowship provides a $10,000 grant to an animator in Project Involve, Film Independent’s signature diversity mentorship program which fosters the careers of talented filmmakers from communities traditionally underrepresented in the film industry. Project Involve alumni include Effie T. Brown (Dear White People), Jon M. Chu (G.I. Joe: Retaliation); Cherien Dabis (Empire), Kahlil Joseph (Lemonade), Tina Mabry (Queen Sugar) and Justin Simien (Dear White People). The LAIKA Animation Fellowship was created in 2016 and was awarded to animator Brandon Omari Lake. The Fellowship underwrote Lake’s participation in Project Involve and includes a $10,000 unrestricted cash grant for the filmmaker. Inspired at an early age by Caribbean folktales and the works of Disney and Rankin-Bass, Lake graduated in 2013 with an MFA in Animation and the Digital Arts from the University of Southern California. Since then his professional portfolio of work has grown and diversified, including Robot Chicken, Bratz, Buddy Thunderstruck, Verizon, and most recently two Honda Spots (“Paper”, “The Power of Ridgeline”) with animation director, PES. Additionally Lake has produced several short films, two of which have been accepted into festivals including KLIK Animation and the Philadelphia Film Festival. Encouraging and mentoring a new generation of bold, diverse voices and visions benefits us all. 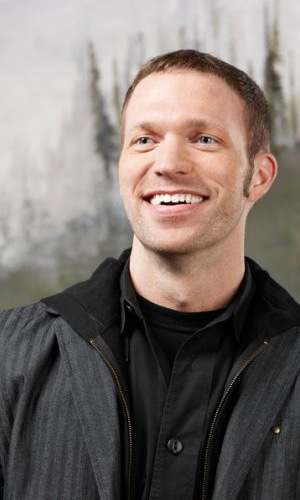 "Film is at its best when it meaningfully reflects, connects with, and fosters insight into the world around us,” said Travis Knight, President & CEO of LAIKA, who made his directorial debut in 2016 with the acclaimed animated film Kubo and the Two Strings, recently nominated for two Academy Awards including Best Animated Feature Film. “And the world around us is a rich tapestry of voices and experiences. Encouraging and mentoring a new generation of bold, diverse voices and visions benefits us all. Which is why LAIKA is thrilled to continue our support of Film Independent’s Project Involve program. We look forward seeing how these inspiring artists enrich and expand the art and scope of cinema in the years to come." For information on all past Film Independent Fellows, the Film Independent Talent Guide. Fueled by the vision of President & CEO Travis Knight, LAIKA is a feature film animation studio located just outside Portland, Oregon. In 2016 LAIKA was awarded a Science and Technology Oscar plaque in recognition of its innovation in 3D printing. All four LAIKA films, Coraline, ParaNorman, The Boxtrolls and Kubo and the Two Strings, have received both Oscar® and PGA Award nominations for Outstanding Animated Film. In addition to an Oscar® and PGA nomination, Coraline earned Golden Globe, BAFTA, and Critics’ Choice nominations, and was named one of the year’s 10 Best Films by the American Film Institute (AFI). ParaNorman (2012) garnered BAFTA, Critics’ Choice, and GLAAD Media Award nominations and won two Annie Awards (the animation community’s Oscar® equivalent) and was cited as the year’s best animated film by 14 critics groups. The Boxtrolls also earned Critics’ Choice and Golden Globe Award nominations and 13 Annie Award nominations, more than any other film that year. The critically acclaimed Kubo and the Two Strings was nominated for two Academy Awards in the categories of Best Animated Feature and Best Visual Effects. It was named Best Animated Feature of 2016 by the National Board of Review as well as 18 critics groups. Additionally, it garnered Golden Globe, BAFTA, PGA and Critics’ Choice nominations, as well as 10 Annie Award nominations and 6 VES Award nominations.